Our Curator, Trish Scarmuzzi (me! 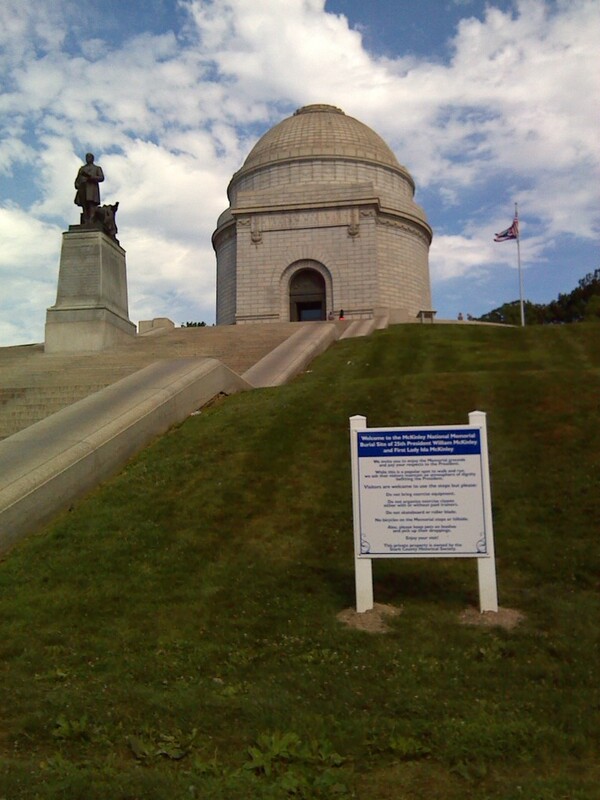 ), visited the McKinley Memorial in Canton, Ohio on Friday August 7, 2015. 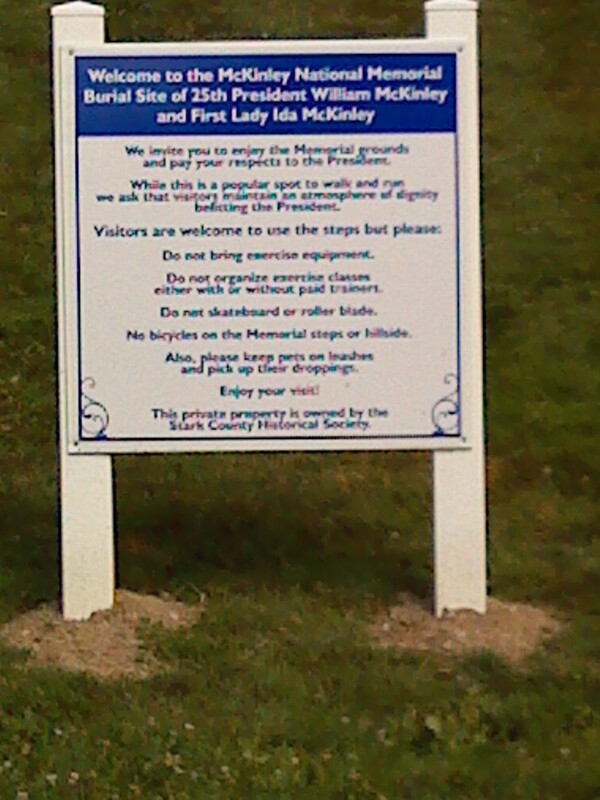 These rules also work well for the Museum in Niles. 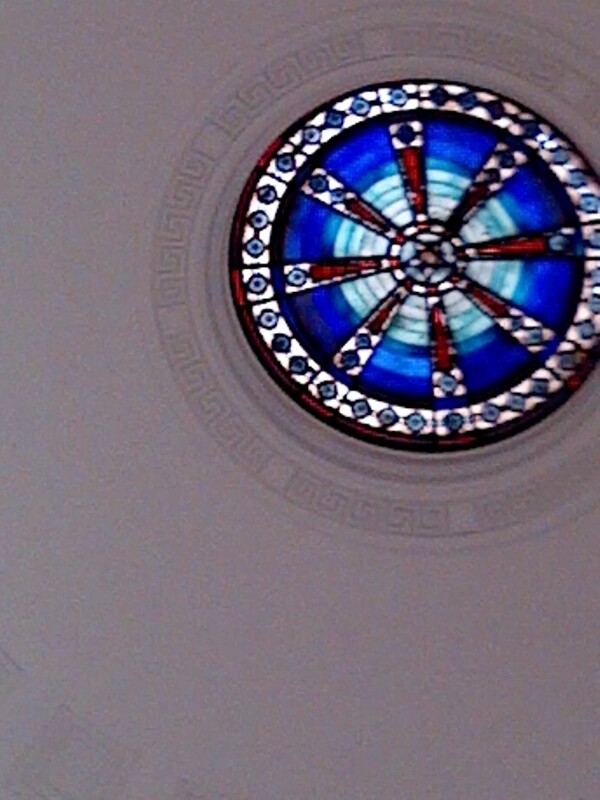 Stained glass occulus in the dome of the tomb. 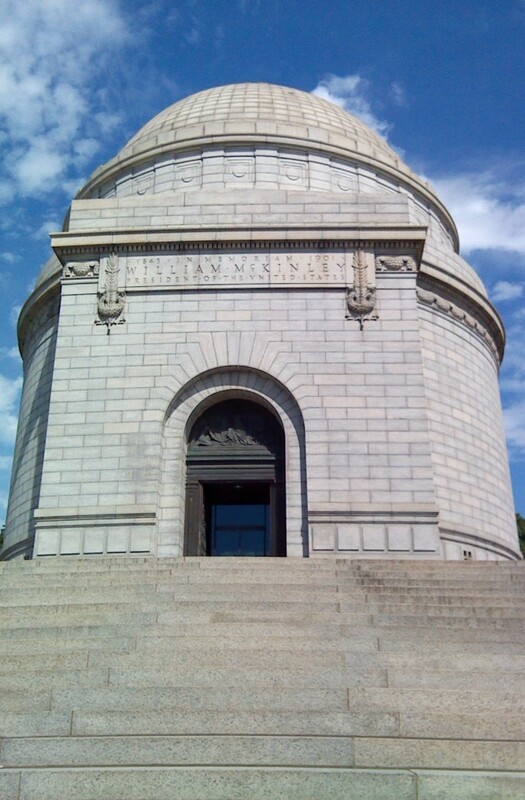 I understand that it was recently built from plans for the original tomb and was also recently installed. The original window was never put into place. 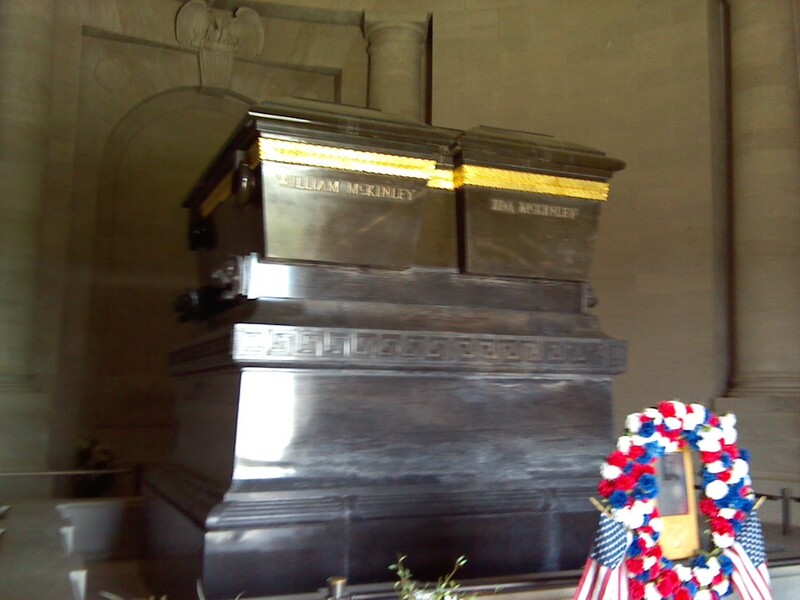 The sarcophagus of William and Ida McKinley. Their daughters, Katherine and baby Ida are entombed in the wall behind the sarcophagus. 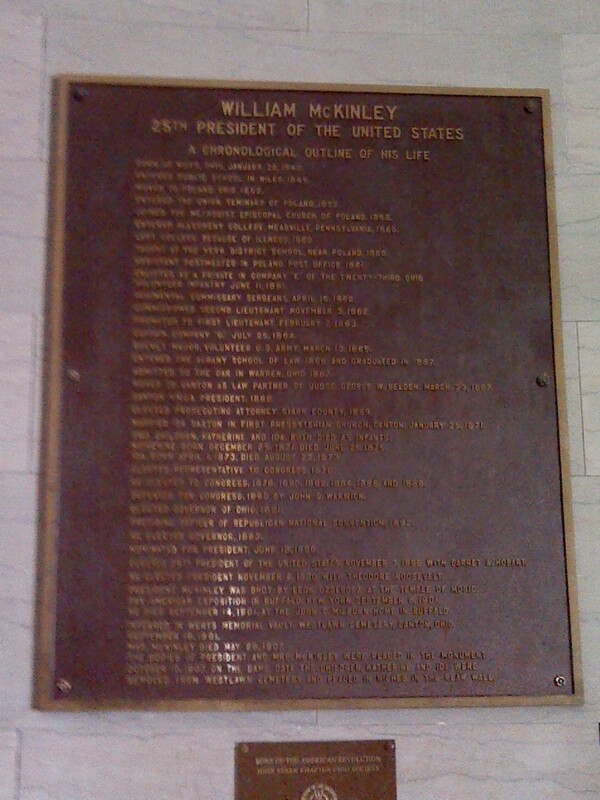 This bronze plaque lists a chronology of events in William McKinley’s life. 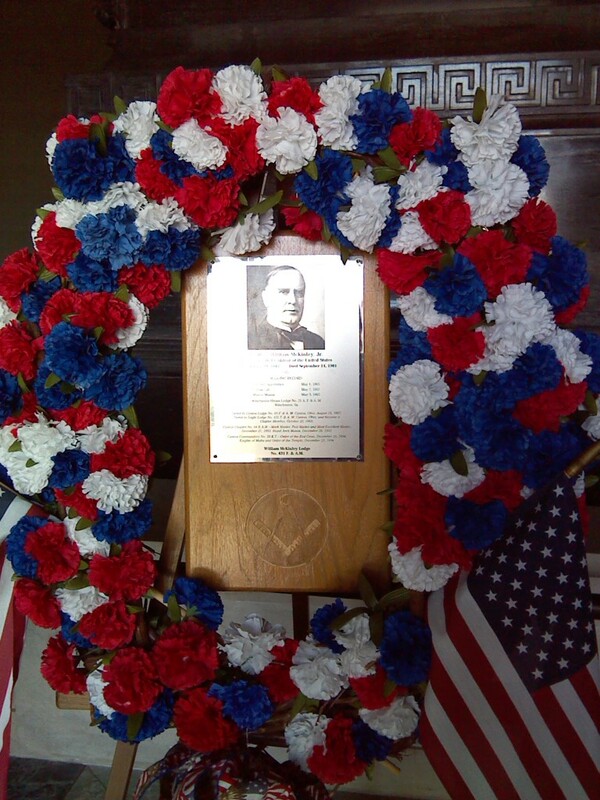 This floral tribute to McKinley is in front of the sarcophagus. Made it to the top! 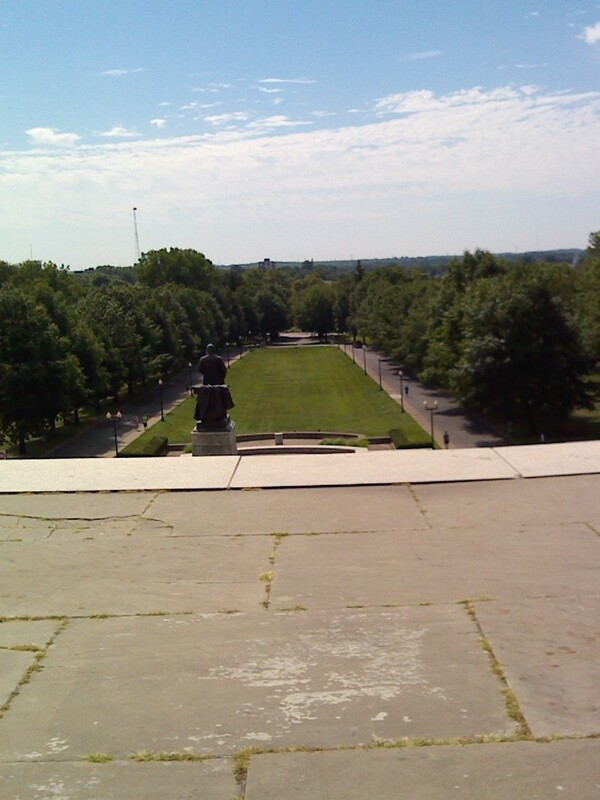 There are 105 steps. 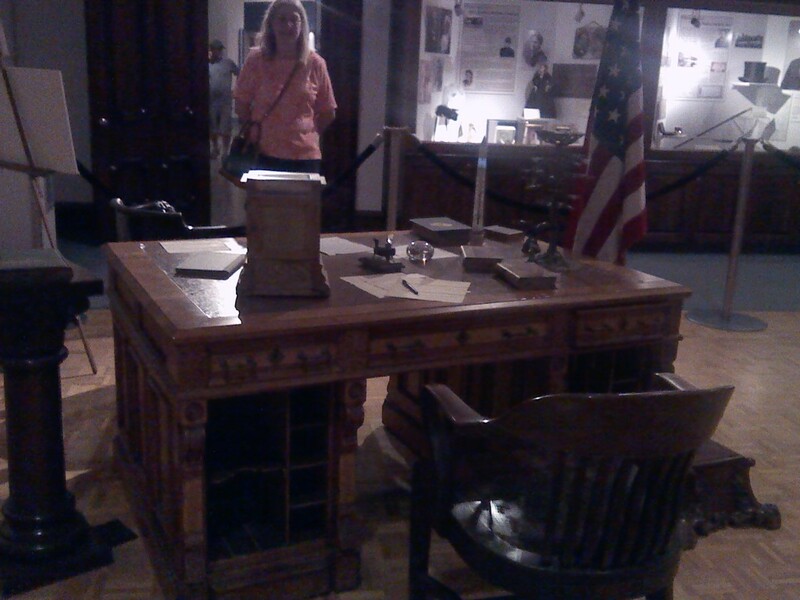 McKinley’s Presidential desk is in the McKinley Gallery of the Museum. It was a partner desk, which he shared with his secretary, George Cortelyou. Here I am standing on the opposite side from Cortelyou’s side. 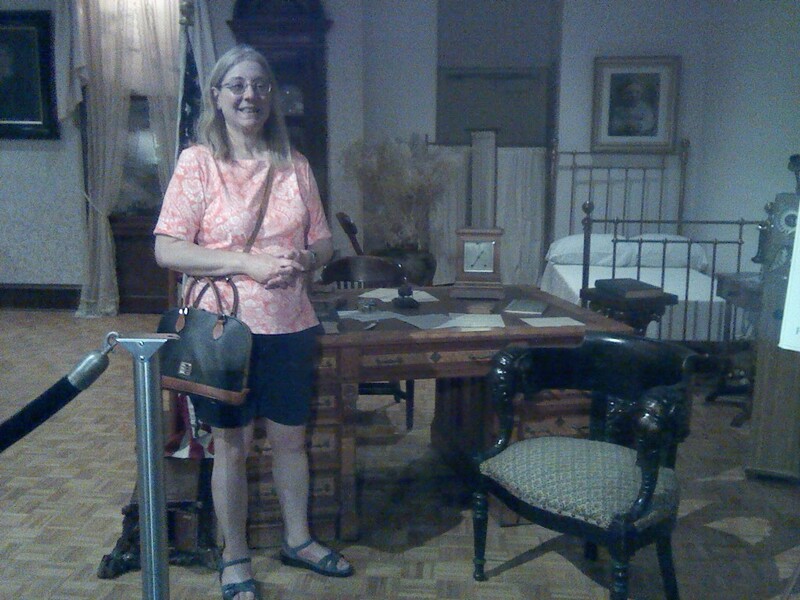 And in this photo, I am standing next to the McKinley side of McKinley’s Presidential Desk.